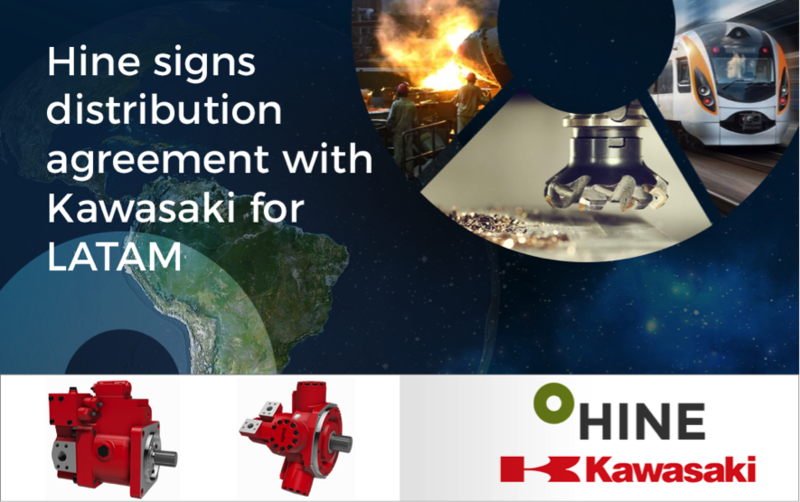 In order to increase sales and availability for the industrial and marine industries on the LATAM market, HINE has signed a distribution agreement with KAWASAKI. Hine solutions are developed using superior quality products from highly reputable, prestigious companies like Kawasaki, and this agreement enables us to continue offering a comprehensive package of products and services designed to gain the competitive advantage that our clients need. Today the Kawasaki brand is synonymous with quality and innovation in hydraulic pumps, motors, valves and complete systems across the whole spectrum of applications. With manufacturing facilities in Japan, China, Korea, India and the UK and a global sales support network, Kawasaki is ideally located to support its customers worldwide.